If there’s anything more fun than planning a birthday, it’s planning a twin birthday. The adorable themes are endless and their friends are sure to love it. These are some of our favorite ideas. Adorable party ideas for twin birthdays can range from fun, creative, educational, and even just silly for your little loved ones. The creative and design brainstorming process of planning these parties is the best part. Best of all you can’t forget to have the cutest Happy Birthday Twins banner that fits your theme for the perfect party. Y’all, I just love this one. I don’t think it’s going to be our party theme this year, but we will use this one eventually. Maybe twice? Plus, it’s gender neutral. This could be done in so many ways: a 50’s ice cream social, a trip to a local ice cream shop, a sundae bar in the backyard. So many Happy Birthday Twin Ideas! Here are some to get you going. Invitations: Loving these from RockStarPress on Etsy! Decor: This ice cream pom pom garland from Growing Up Gabel is the cutest! Find this adorable decor here! Food: Okay, duh. Ice cream. I love the idea of adding a toppings bar for a happy set of happy birthday twins. Toppings can be anything you could imagine! Don’t be afraid to think outside the box — things like fruit loops, scoops of (safe) cookie dough, or cotton candy. Because, why not? This is the sweetest for two girlie girls. 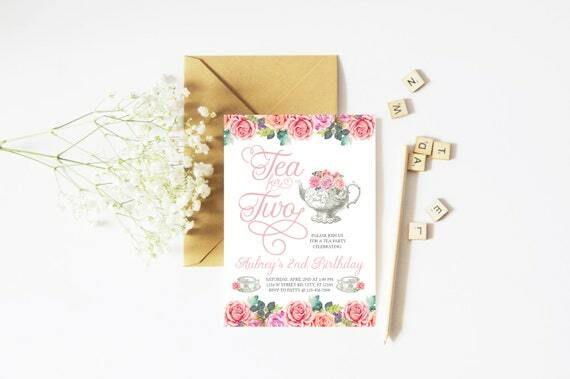 A tea party theme has all the right things going for it to make it Pinterest swoon-worthy. This one is nice because it works for the happy birthday twins as a classic tea party, but is also a great idea for pre-teens. For the 11-going-on-30-year-olds, a trip to a nail or hair salon before their tea would be ohemgee-worthy. Find these chic designs here! The great types of horderves for this chic affair are cute bite-size sweets like macarons, finger sandwiches, and petit fours. (Insider tip: petit fours are just tiny squares of cake covered with fondant. The fondant is sooooo sweet your teeth with hurt. I suggest skipping it and just going with carefully cut cake squares with a sweet little rosette or raspberry on top. Trust me on this one.) Oh, and don’t forget the tea for the cutest happy birthday twins ever! We have one theme just for girls, so we don’t want to leave out the boys. What little guy doesn’t think being a spy sounds like the Coolest. Job. Ever. Etsy has the great idea of using the invitation as the first clue for a Top Secret Mission. Click here for this ohh so confidential invitation! Decor Ideas: Lots of “top secret” tape. Basically just put it everywhere. This theme is a little more about the games than the decor. These ideas from Simone Made It are spot on for slightly older kids. I can just see them LOVING the code cracking and laser beam training. For the younger ones, it’s time for a Secret Mission: Scavenger Hunt. They could also do little art ‘n crafts to create their own badges and they’ll love these disguise glasses. Food Ideas: Kara of Kara’s Party Ideas has some great ideas for food, including “dynamite sticks” and “packets of adrenaline.” Love it. Fiesta parties are some of the easiest and least expensive to pull off. You need a pinata, bright decorations, and some chips and dip. Done. 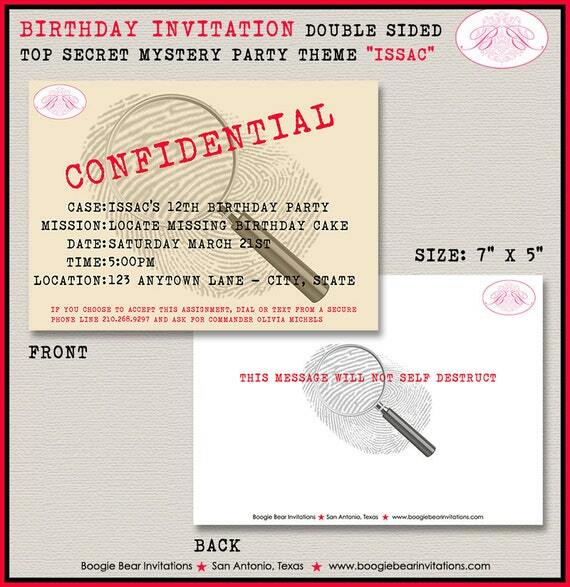 Invitations: Love this one from Zazzle. Easily customizable and affordable. Decor: This is what I like to call an Amazon Prime party. Everything you need can be ordered online. This adorable banner is perfect. Food: Chips and dip, definitely. My Mommy Style has a great post on how to create the perfect nacho bar, which could also be a taco bar. Invitations: These from PartyMonkey are perfect. 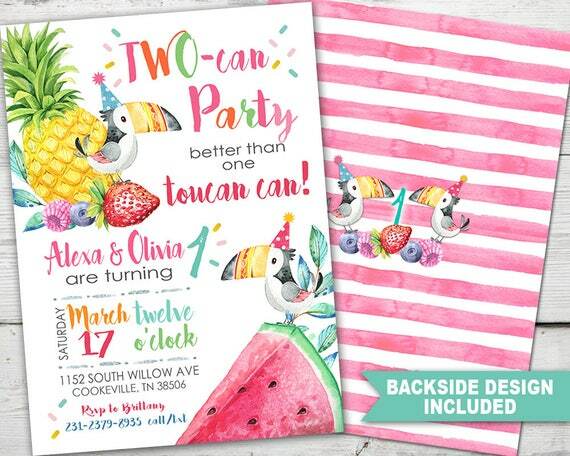 Find these cute Two-can party invitations here! Decor: Everything animals. You can find animal plates and cups at the dollar store, and palm fronds give off a great jungle vibe. Food: This is one of those parties where you can do an animal- or jungle-themed cake, then the rest of the food can be anything you want. A great idea to tie it all together is to use animal labels for the food items. Monkey Chow, Hippo Dip, Snake Sandwiches and Leopard Lemonade are a few ideas to get you started. Arctic Party on Etsy has blank labels so you can add your own animal chow creations. Click here to grab these labels! The ultimate summer party is also one of the easiest to pull off, and you have Happy Birthday twins so you need easy. Ingredients: a pool, a lifeguard, sunscreen and some pizza. If you’re really in an overachiever mood you could provide some games, but let’s be honest. The kids don’t need instructions on how to have fun in the pool! There’s a reason pool parties are a parent favorite, and adding this twin theme is all you need to make it special for your birthday duo. Decor: A pool. If you’re really feeling ambitious, add some beach balls and some pool noodles. Food: Pizza. Guys, seriously. Stop trying to make this complicated. You have twins. You have enough complication in your life! No matter what party theme you choose, or if you (gasp) don’t do a theme, your kids are going to think it’s the best party ever. Because you’re the best mom ever. Party on, twin mom. You’ve got this! Birthday Party Places – A Complete Guide to the fun places kids love!